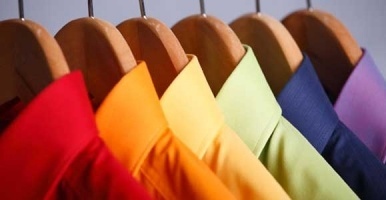 Receive an additional 20% OFF, with the “Lee Special”, on Dry Clean items only. At Silver Hanger Cleaners, we’d like to say “Thank you for your Service”. Which is why we’re proud to offer our “Lee Special” to all Lockheed Martin and Northrup Gruman employees, as well as, all active military. We’ll keep your uniform looking clean and wrinkle free. As a locally owned and operated business, Silver Hanger Cleaners holds the community we serve, dear to our hearts. We recognize that the men and women that serve in Law Enforcement and for our Fire Departments, work hard at what they do, and we’d like to show them our appreciation. That’s why we offer a special on 2-Piece uniforms for just $7.00. Convenient location, quick service and fast turn around on cleaning. Friendly staff. I’ve been using Silver Hanger Cleaners for over 10 years without any problems. What more can you ask for? Wouldn’t go anywhere else. Great customer service, where they know you by name and get your clothes as you’re walking through the door; although we have been using them for over 5 years now on a weekly basis.